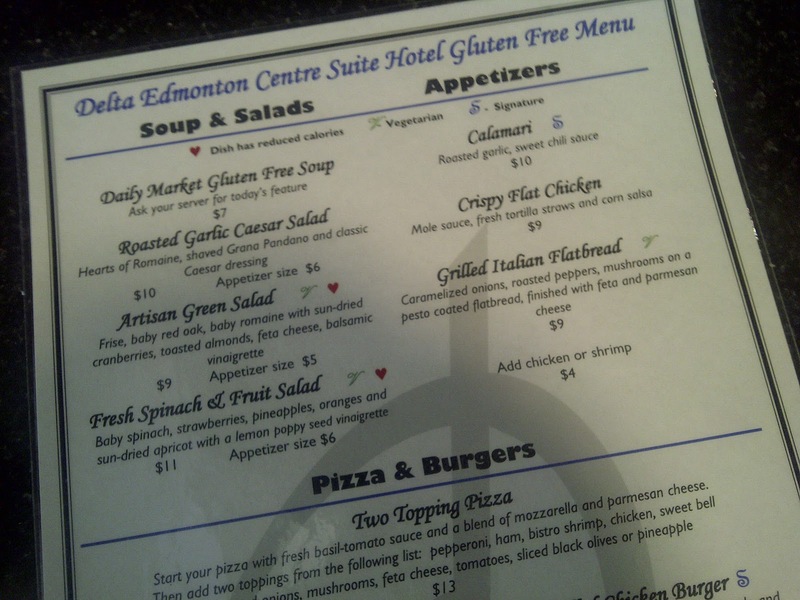 Liane Faulder (@EatMyWordsBlog) recently wrote an article in her Edmonton Journal - Eat My Words Blog called Gluten Free Menu at Delta Edmonton Centre Suite Hotel. It was a great find to see that not only the downtown Delta but all Delta's are ensuring they have gluten free friendly restaurants by carrying gluten free products. I ventured off to the Delta Edmonton Centre Suite Hotel during my lunch break to check out Cocoa's Restaurant at the hotel. Their gluten free menu seemed pretty good. They bring in their pizza crust and buns, but I didn't find out where they bring it in from. Essentially a nice menu to choose from and a good to know while traveling and around a Delta hotel. 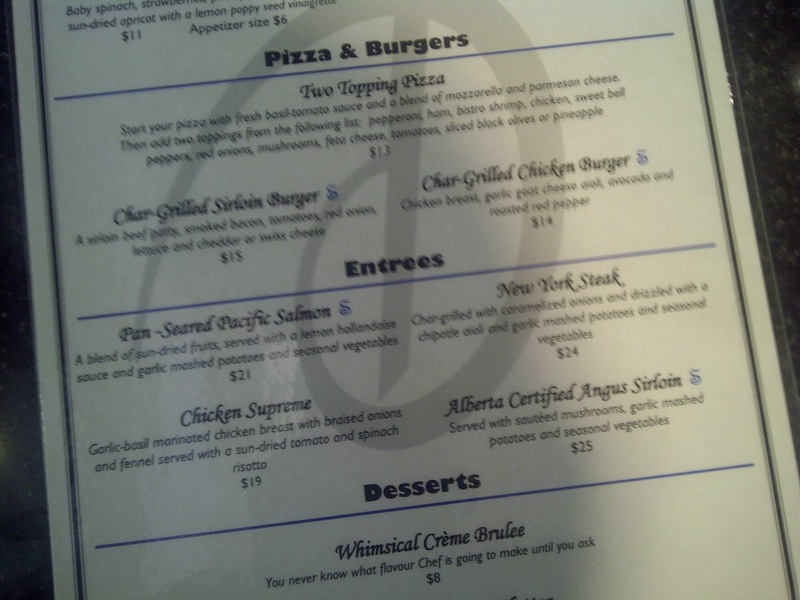 Not to mention if you are in South Edmonton or Downtown Edmonton and looking for a gluten free meal. This Delta and the Delta Sun Peaks do an awesome job at providing GF meals. Having this available makes traveling safe, fun and relaxing. Check out Trip Advisor for other great hotels that offer GF. The Delta in Moncton, NB hosted the celiac conference a couple of years ago - they have noted on their menu GF options as well. The pizza was the best pizza I've ever had! Attended Cocoa's at the Delta (Edmonton City Centre Mall location)today based on what appeared to be a glowing review above. It was a rotten experience. They couldn't find the gluten free menu, they brought me a salad that had a few croutons in it, and they asked if I was going to "fall down" if I had any gluten. They seemed less concerned about the actual fall out of having gluten when you have celaic because I wasn't going to need an epi-pen shot.